Lochinver, in the Assynt district of Sutherland sits amidst a spectacular scenery of dramatic high cliffs, waterfalls and hills. The Assynt Hills are reported to be the oldest in Britain and contain some of the great mountains of the north such as Suilven, Canisp, Quinag and Ben More Assynt. Lochinver is Scotland’s’ second largest fishing port, a key industry to the local community. In the 1990s the harbour area was rebuilt and developed. 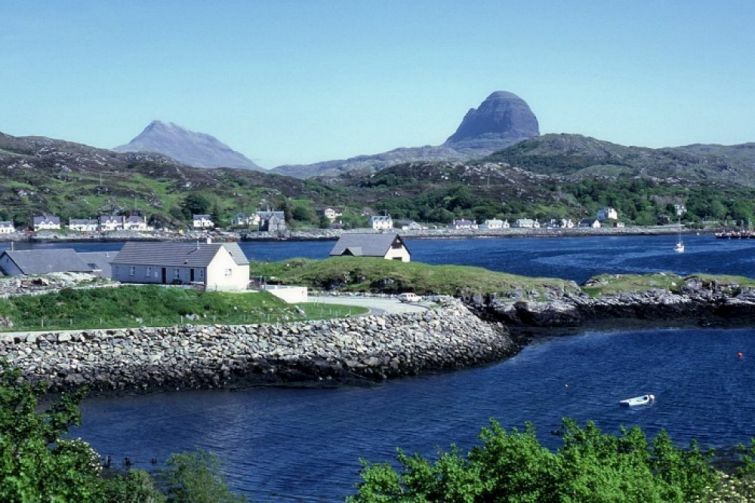 The village is situated where the River Inver flows into the loch with dramatic views back across to Suilven’s peak and is a popular destination for hill walkers’, climbers and nature lovers. Local Birdlife includes the culew, oyster catcher and hooded crow. "The tour leader rose above the shortcomings of his vehicle and repaired all the punctures with a smile on his face - an example to us all...."